November 2017 | Florida Law Advisers, P.A. Divorce can be a stressful and frightening time, it is the end of a marriage. There is a lot at stake in the outcome. This is especially true for a high asset divorce in Florida. There are unique challenges to a divorce when the parties involved have a substantial amount net worth. In cases such as these, it is important to hire an attorney who knows the law and can understand complex financial investments. Additionally, you will want an attorney who has a good reputation with expert witnesses that can be used in your case, such as forensic accountants, auditors, appraisers, social investigators, and guardian ad litems. 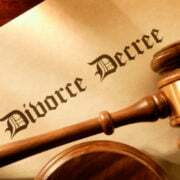 If you need assistance with a divorce matter contact us to speak with a high asset divorce attorney in Tampa. Under Florida law, there must be an “equitable distribution” of the martial assets and liabilities. See Florida divorce law 61.075. The court will divide the marital assets and liabilities 50/50 between the couple unless there are factors that would make an equal split inequitable. The first step in reviewing a case to determine the distribution of assets is to classify each asset and debt as either marital or separate property. Only marital property/ debt is subject to equitable distribution by a judge; separate property will remain the property of the spouse who owns it. Normally, this is a straightforward process; however, it can be very complex in a high asset divorce in Florida. Therefore, it is crucial to hire an attorney who is well versed in how a high asset divorces and can aggressively represent your interests. Alimony, which is also frequently referred to as maintenance or spousal support is payment from one ex-spouse to the other. The fundamental principal guiding an award of alimony is to alleviate the disparity in financial resources of the two parties. However, disparity in financial resources alone is not enough to justify an award for alimony. See Segall v. Segall. Instead, Florida family law courts look at one spouse’s ability to pay alimony vs the other spouse’s need for alimony. See Canakaris v. Canakaris. There is no standard formula to calculate alimony for in Florida. The high asset divorce attorney you hire can make a big difference on whether or not alimony is awarded. In a divorce case where the couple shares minor children the law will require the parents to submit a parenting plan for court approval. The parenting plan outlines how the parents will share the responsibilities and decision-making authority for the children. The parenting plan, must describe how the parents will share and be responsible for the daily tasks for the child. It will also specify the time children will spend with each parent, designate who will be responsible for any and all forms of health care, school-related matters, and other activities. It will also include the methods and technologies that the parents will use to communicate with the child. If the two parents are unable to agree on the terms of the parenting plan the judge will step in and decide the terms for them. In cases such as these, it is vital to hire an attorney that can aggressively represent your interests. It is very difficult to change a parenting plan after it has been issued by a judge. You want to make sure you are happy with the parenting plan, as you may not be able to modify it in the future. A skilled divorce lawyer can make a big difference in a high asset divorce case. If you are contemplating filing for divorce or are already engaged in litigation call us to today to speak with a high asset divorce lawyer in Tampa. We have a lot of experience with complex financial investments and have a good rapport with many forensic accountants, auditors, appraisers, social investigators, and guardian ad litems. If you would like to speak with a divorce lawyer at our firm call us today at 800 990 7763. We are available to answer your call 24/7. If you are experiencing financial hardship Chapter 13 bankruptcy may provide some much-needed relief. Fortunately, Chapter 13 relief is not a once in a lifetime opportunity. We are commonly asked, how long do I have to wait to file Chapter 13 again? You can file for Chapter 13 many times, but there are time limits on refiling. If you need assistance to determine if you are eligible to file Chapter 13 again contact a Tampa bankruptcy attorney in your area. Chapter 13 is when a consumer consolidates their existing debts into one monthly bill paid to a bankruptcy trustee. It is intended to help borrowers catch up on secured debt, such as a car loan or home mortgage. With Chapter 13 bankruptcy, you can lower payments, prevent foreclosure, eliminate debt, and stop a car from being repossessed. 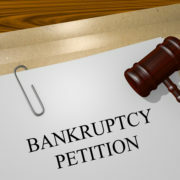 For more information on the possible advantages and disadvantages of Chapter 13 contact a bankruptcy attorney in your area. Many bankruptcy law firms will offer a free consultation to assist prospective clients. If you previously filed Chapter 7 (or Chapter 11/12), you must wait 4 years from the date you received your discharge before you can file Chapter 13. See Bankruptcy law 11 U.S.C. § 1328. If you previously filed Chapter 13, you must wait 2 years from the date you received your Chapter 13 discharge before you can file Chapter 13 again. For more information on Chapter 13 discharge click here. If you previously filed Chapter 13 (or Chapter 12) you must wait 6 years from the commencement date of your previous case to file Chapter 7. See Bankruptcy Law 11.U.S.C. §727 Determining exactly how long you have to wait to file Chapter 7 if you filed Chapter 13 can be tricky because it is based on the commencement date. However, there is an exception that may affect how long you have to wait to file Chapter 7. If you paid your previous Chapter 13 plan in full, or you paid 70% of your plan in good faith, you may not have to wait to file Chapter 7. A bankruptcy lawyer can help you determine whether or not you will have to wait the full 6 years to file Chapter 7. If you are having a difficult time meeting your financial obligations Florida Law Advisers, P.A. may be able to help. Florida Law Advisers, P.A. is a committed to providing personalized attention and dedicated legal counsel. Our Tampa bankruptcy lawyers have years of experience helping people just like you solve their financial problems and obtain a fresh start. For a free, confidential initial consultation contact us today at 800 990 7763.